You may recall that I knitted Monty, the osprey from the Dyfi Osprey Project, in my book Knitted Birds. 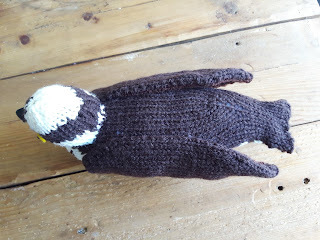 Knitted Monty stands upright, and he has wire feet. 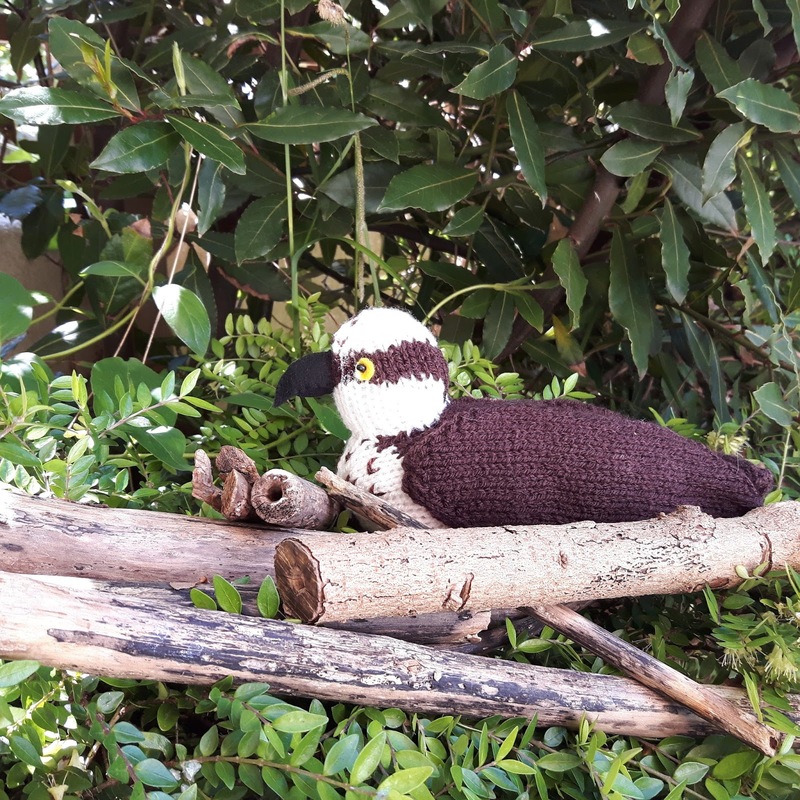 Well, here is an adaptation of the same pattern, so you can knit Glesni, his partner, in a nesting pose (which is what she is currently doing if you check the Dyfi Osprey Project live stream at the time I’m writing this!). To make Glesni, use a 4.5mm pair of needles rather than the 4mm pair recommended for Monty. This will make Glesni slightly larger. Knit the same body and head parts from the Monty pattern, stuff, and then lie the body down and sew the head into position as seen in the photos. Knit four wings, and then take two of them, pin them together with the wrong sides together, and oversew around the edges using dark brown DK yarn. This creates a double-sided wing which will stand up better than a single one. Repeat with the other two wing pieces and then sew both wings into position on either side of the body – don’t sew the last third of the wing onto the body. 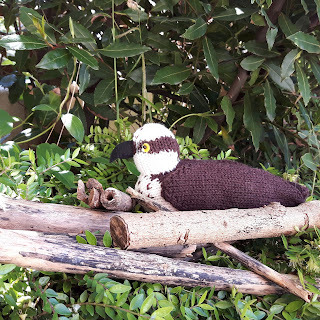 Create eyes and beak as instructed in the Monty pattern. Good luck Glesni and Monty! Here’s to a summer of plentiful fish, and healthy chicks.